Reduce the Bible to its essence. Consider the messages of Martin Luther King, Bobby Kennedy, the Dali Lama, and Mahatma Ghandi. What is the plea of a baby’s cry or a wounded soldier’s moan? What explains both the sad old man feeding pigeons on a Sunday morning and the smiley young pup at the bar the night before? 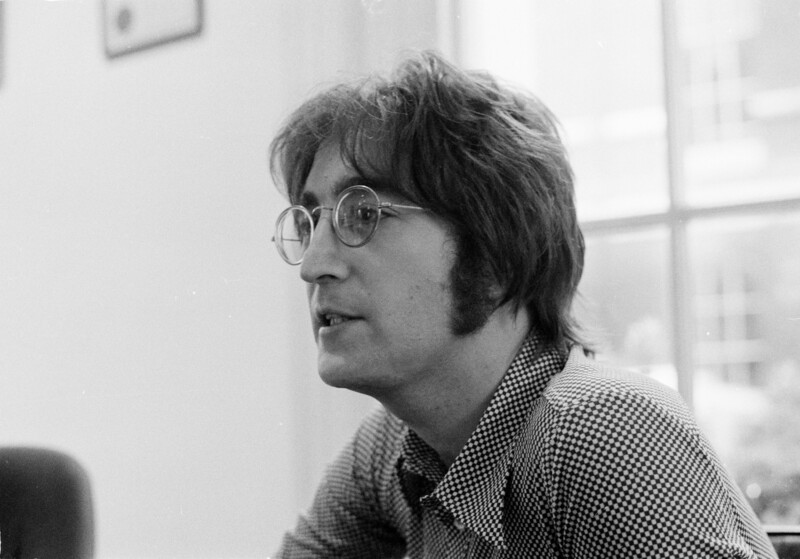 John Lennon knew – all we need is love. For a long time I thought I understood. It began on the first day of my last year of high school. I took my assigned seat in Biology class. Decked out in my purple corduroy bell bottoms and high collared green silk shirt and with my curly brown hair falling to my shoulders, I slid into my desk with the practiced sneer of teenage sullenness. Then it happened. To my left sat the most beautiful girl I had ever seen. I was gobsmacked. The poor teacher rattled on but I heard nothing. I just had to speak with her. I finally asked to borrow her ruler. There it was. Neatly printed on the back was her name. Nirvana! I drew a few quick lines and returned it, swooning at the thought that my hand had brushed hers. The tall blond girl and I have been married now for decades. As teenagers we thought we knew everything. We quickly learned that we knew nothing. And now what we know for sure is that everyone makes it up as they go along and do the best they can. After all these years, no one can make me laugh as she does. No one can put me right like she does. She has saved me, made me, remade me, and inspired me to become the best I can be. Without her I would now be dead, in jail, or sleeping under a bridge. Our child arrived when we were little more than children ourselves. Due to the necessity of finding work, we were living hours from home and family. We relied on logic, instinct, each other, and the long-distance wisdom of moms and grand-moms to figure it all out. We did the best we could and we did OK. As the years of teenage angst rendered our lives more interesting we kept pledging that we would not let her moods dictate ours – we never managed it. As all young people do, she circled the dark side of the moon where communications are temporarily lost and then returned as we knew she would to the safe orbit of family and home. We were only ever as happy as her. We are still only as happy as her. We could not be more proud of her. This morning, like always, our granddaughter arrived at our door. She bounced in with the sunshine of a six year old; always in the moment, default position stuck on happy, and with the assumption that all is well and always will be. We and her parents are not helicopters hovering to mandate her every move or snowplows eliminating every obstacle. We’re more like bowling alley bumper pads. We ensure that she tacks her way forward in her own way and at her own speed with scraped knees and magic band aids while never knowing the gutter. I watch her climb trees and play hockey. We’ve dressed up as princesses. We bounce on the trampoline and enjoy picnics in our secret spot. We walk downtown for the best hot dog in the world. We throw stones in the river and hang upside down at the playground. We read and walk and laugh and talk and scheme and joke and tease and cuddle. She always runs faster than me, wins every Trouble game, and patiently explains kids shows that I can never manage to understand. And, regrettably, I rub her arm so the insulin needle won’t hurt quite so much. Without a clue as to her power, my grand-daughter has reshaped me as first my wife and then my daughter did before. She has taught me what I presumed to already know; what I thought I learned way back in Biology class and on those three-in-the-morning nights when the baby just wouldn’t go back to sleep. She taught me how to love all over again and, this time, more profoundly than I ever imagined possible. I consider people begging for change on the sidewalk the same as those filling their lives with stuff and screens. I see people defined by their job and whose minds are at work even when their bodies are home the same as those stuck in perpetual adolescence whose buddies are the centres of their circles. I understand the holes in their hearts. It’s sad. I know they will never be filled by the next coin, thing or app, or by the next promotion or beer. Everyone, of course, is free to make their own way. But during the journey, words, gifts, and promises ring hollow and echo silence. Time and attention, on the other hand, skywrite what matters. I have done a lot, travelled a lot, and accomplished a lot in my life, and have a lot more left to do. But I am convinced that the only reason I am here is to love the three women in my life and to be loved by them. All the rest is background music. Next January I will meet a new teacher who, now that I think I understand, will begin the instruction all over again. I can’t wait. But for now, tomorrow morning, when my grand-daughter arrives for school and what she calls second breakfast, she will remind me once again, as she always does – John Lennon was right. If you liked this article please share it with others. I post a new article on this site every Monday. and you roll that roll. and you stroll that stroll. “Chilld I love you so”.